The cassette adapter allows one to play music through sound systems with a tape player without the need for an auxiliary input. A cassette tape adapter is a device that allows the use of portable audio players in older cassette decks. This is useful for cars, which often lack inputs for portable devices. 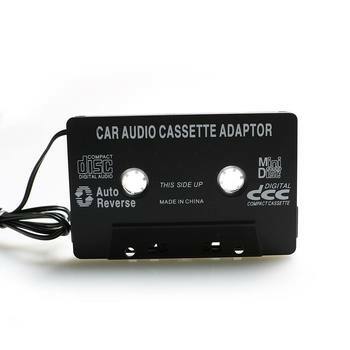 Originally designed to connect portable CD players to car stereos that only had cassette players, the cassette tape adapter has become popular with portable media players even on cars that have CD players built in. In the case of AM/FM systems without cassette playback, FM transmitters are recommended. 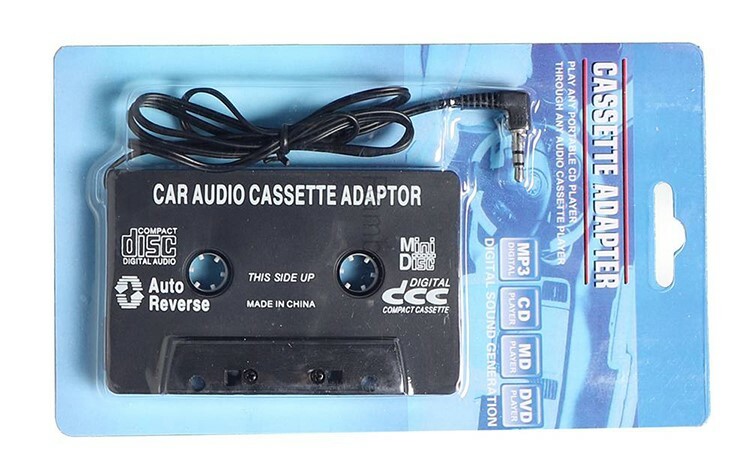 Connect your CD Player / Mini Disk Player / Pod to your car stereo through your car's in-dash cassette player. Pod / CD Player / Mini Disk Player headphone jack. 40" cord so you can rest your Player / Pod where you want it.